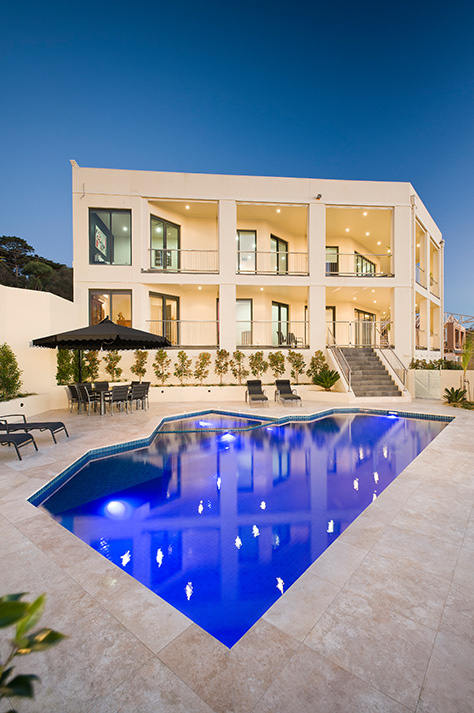 The unique shape of this pool and spa compliments the angular architecture of this imposing residence in bayside Melbourne. 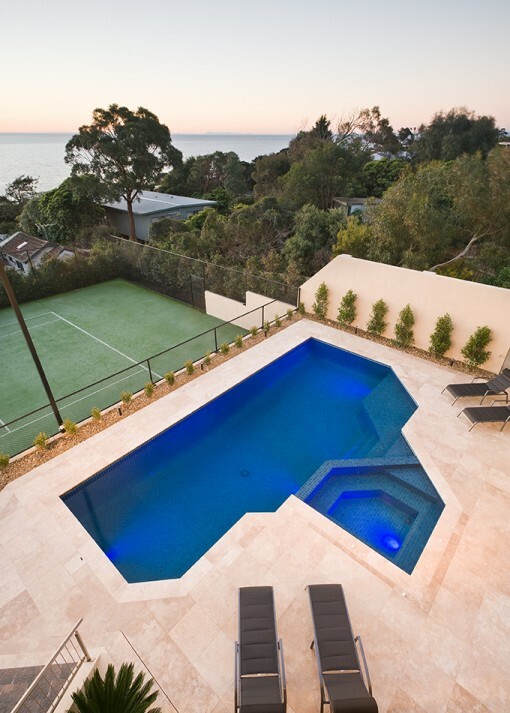 The pool was constructed in conjunction with the floodlit tennis court and the substantial retaining walls that address the significant slope across the site whilst also offering privacy from the neighbouring properties. 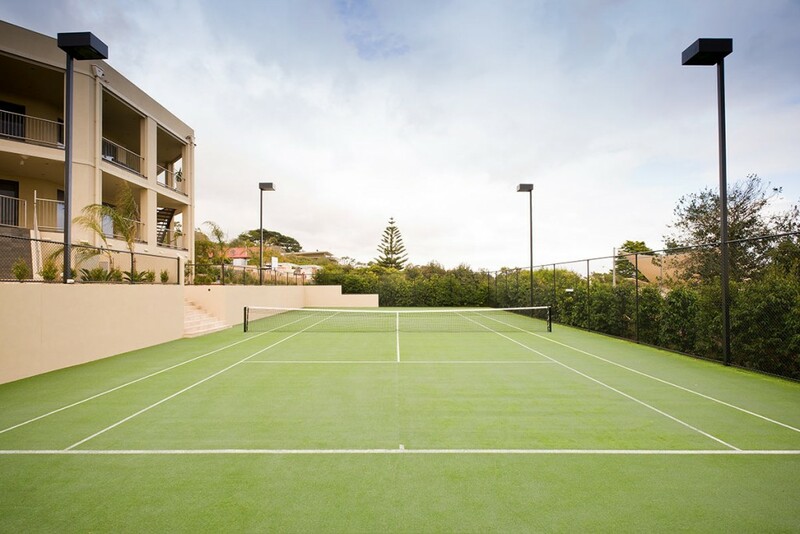 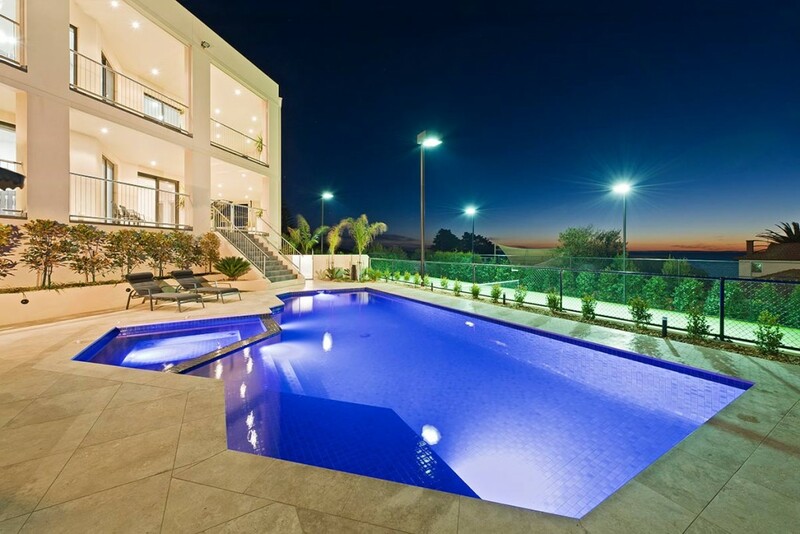 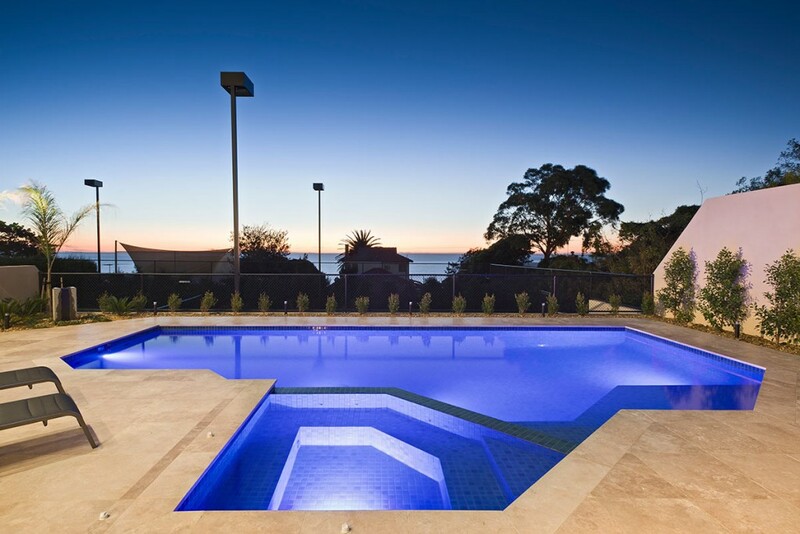 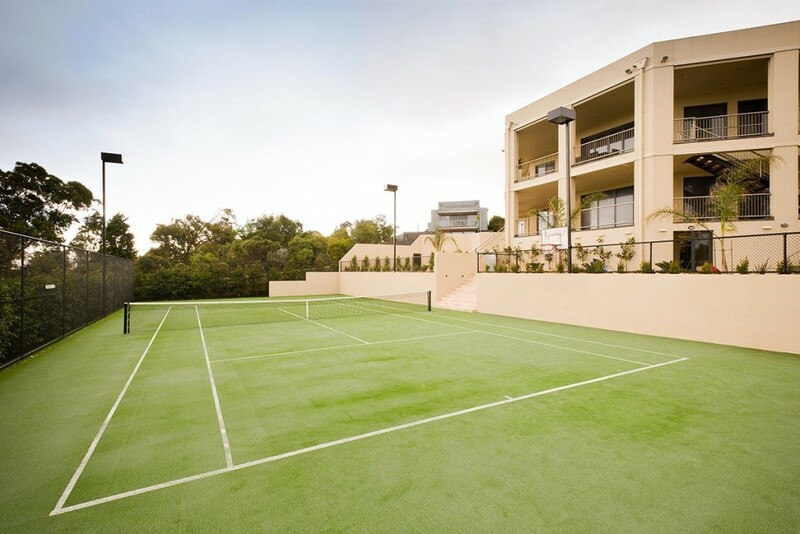 This project received a Highly Commended Award for “Best Residential Concrete Pool under $100,000” at the 2012 SPASA awards and was recognised as “Tennis Court of the Year (over $100,000)” at the 2011 Sports Contractors awards.